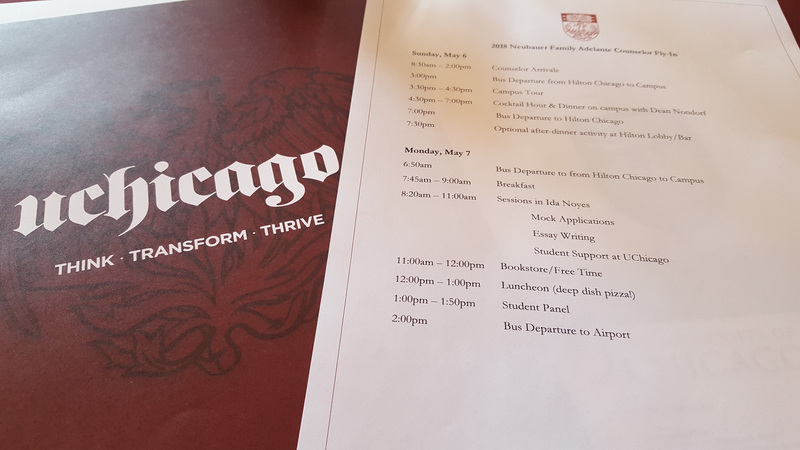 From Sunday, May 6th - Monday, May 7th, I received an amazing opportunity to visit the University of Chicago and learn about the Neubauer Family Adelante Program. This quick two hour flight from Laguardia Airport led me to visit an amazing program in a vibrant city. You were successful with the college application process. What advice can you offer students in order for them to reach their full potential when applying to higher ed institutions? The best advice I could say to students in the process is to first find out what you want. Really where do you want to be. Away for college or commute, big school or small school etc. Then once you find the places that fit, you go for it and don't give up; make sure it is for you and do the things necessary to show the schools you want to be there. Hit deadline way before they come up and always speak to people at the school. Call a contact person at the school and say something like, "Hey, how is it going? I wanted to know how the process is going and if my name is still in your mind." For me, that is the best line that had counselors to think about me all the time and even begin to reach out to me. 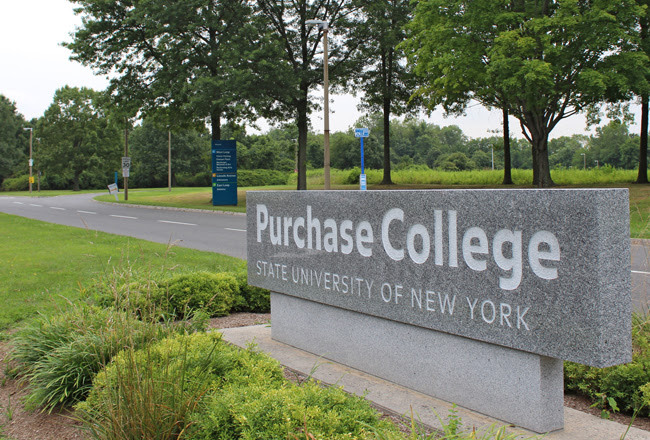 What is your major at SUNY Purchase and how did you come to that decision? I am a Liberal Studies major with a concentration in Biology. I came in with hopes of med school, but quickly realized after actually volunteering at two hospitals that being a doctor isn't what I wanted most. I do EMT work and actually am on the E-board of a medical team on campus that responds to medical emergencies. I hope to continue in the sciences but rather just biology and medical school. I am opened to liberal studies in the chances that while on my journey I may find something new for myself. Talk about the fraternity you joined and what influenced you to apply? I am one of the Founders of the Epsilon Omicron chapter of Sigma Alpha Mu. I met a very great group of guys with common purpose and a level of Manhood beyond others. They said they were getting a bunch of close friends together in hopes that we could start our own chapter. Four months later, the National Headquarters of Sigma Alpha Mu Chartered us as their newest chapter. It is one of the greatest experiences I've ever had and a very demanding task but well worth. 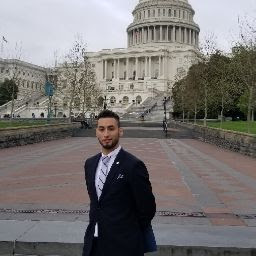 I have been sent to Florida, Upstate New York (Geneseo), Washington DC and Illinois, all to be a representative of my chapter and fraternity. We have our fun and games, but in the end we still work hard to be better men everyday. What do you love the most about college? There are a million and one ways to get help or to do something new, and even learn new things. The opportunities that you can be offered are out of this world and are well worth taking. 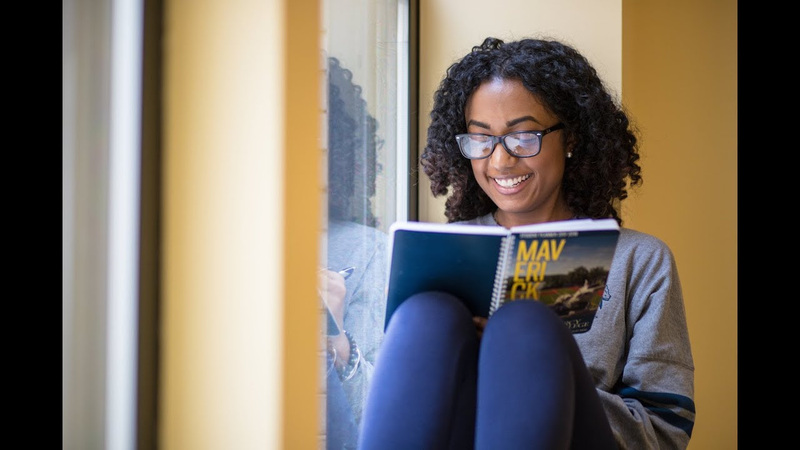 You are enrolled in the MAP program at SUNY Purchase, how has this program helped you? The Program is partnered with the same EOP staff and helps to provide us with mentors and counselors. They help to advise us academically and in our everyday life if we choose to ask for the help. They are not just counselors to some students but in a way they become our friends. If they aren't able to help us they will find out who can and point us in the right direction. 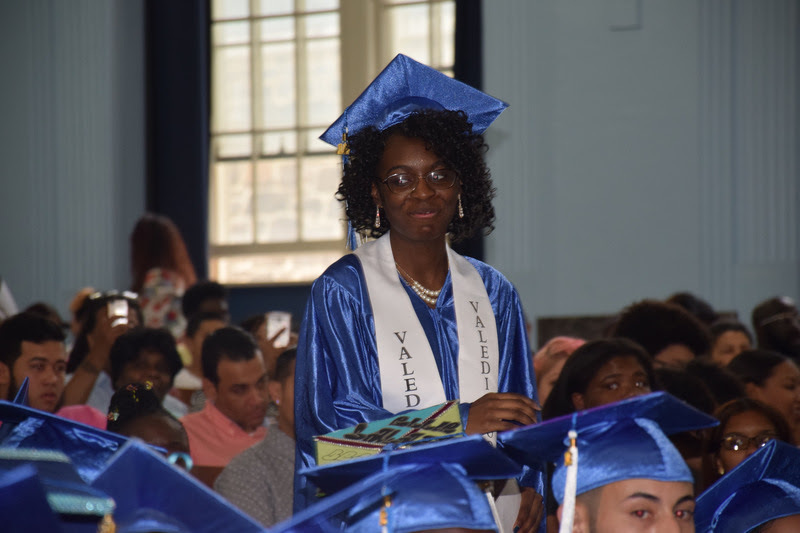 Bronx Envision Academy's Class of 2018 has earned more than $20,000 in outside private scholarships to help pay for college in addition to their financial aid packages. Please see the college bulletin board outside the main office for full details. Welcome to the 1st edition of the CollegeBound Newsletter! Twice a semester you will be seeing a new newsletter with opportunities and announcements. Please read the newsletter in its entirety, take advantage of resources, and cheer on your classmates! Enjoy! How was the first year transitioning as a commuter student to Fordham University? Transitioning was not a difficult process for me as a commuter. I became used to traveling fairly long distances since high school. I would get up at 6:00 am, leave my house by 7:00 am, and arrive to school by 8:30 am, if the buses were running on a good schedule. The process is very similar for me now that I’m in college. My commute is about 1 hour and 30 minutes and the time I wake up depends on my class schedule for the semester. I can have one or two 8:30 am classes or none at all. For my current semester, I only have one 8:30 am class, which I am very thankful for. What classes at BEA helped prepared you for college? I would say that all my English classes, AP Biology, Portfolio Preparation, and Chemistry really helped me prepare for college, AP English especially. 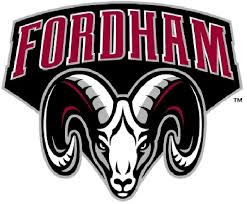 Fordham University, specifically, is a school that places a big focus on writing. Majority of the classes I have taken so far had writing components. Whether it was six, 600 word reading responses, 4 essays varying in page lengths, a take-home midterm/final exam, or a final research paper, I had to be prepared to write. I think Mrs. Pennington and Mr. Irons do great jobs of teaching students how to critically analyze different pieces of writing and also how to annotate texts. These are critical skills to have in college because the professors will assign a reading to you and it’s your job to not only read it on time, but understand what the text means. Portfolio Preparation specifically helped me since art is a part of my major. It helped me curate some of my artwork for my portfolio. AP Biology and Chemistry were important classes for me to pay attention in since taking two science courses are requirements to graduate. Have you decided on a major and how are you getting involve on campus? I am planning on double majoring in Visual Arts and New Media & Digital Design. It is hard for me to participate in on-campus activities since most of them take place when I work, however I do try to join in on a meeting or two when I can. I am a part of the Career Ambassadors, which helps students with finding jobs. There are many clubs on campus I wish I could join but do not have the time for like the Black Students Alliance, Commuter Students Association and the Caribbean Students Alliance. How has it been making new friends and where do they come from? Making friends is not as difficult as it seems. A big help for me to meet new people was going to my HEOP summer program. It is a required, 6 week long program which is designed to help low-income students transition from high school to college. 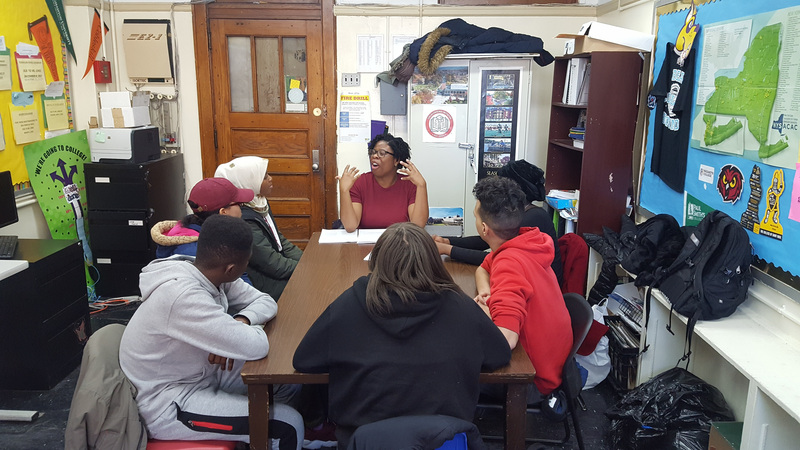 There were about 30 students in the program all of which, came from minority groups like, Indians, Hispanics/ Latinos, Asian, and African Americans. They lived all over NYC, like the Bronx, Manhattan, Brooklyn, Queens and Staten Island. Spending 6 weeks together, we became a really close-knit group of friends before college started. Going to a majority white school, I was bound to have some white friends. Many of them come from out-of-state areas like California, Texas, Ohio, and New Jersey. People are very friendly and open to meeting new people, so it wasn’t as bad as I expected it to be. Do you have any goals for your remaining college years? My goal is to be more involved on campus and try to make it onto the deans list with a GPA of 3.6 or higher. I want to also have an internship in the field I’m studying and be able to speak conversational french as a result of my french classes. What do you love about Fordham University? I love the atmosphere of Fordham. It’s a place to get involved and develop a little community. The course work is rigorous and forces you to become better at time management and focused on attaining your goals. There’s always something to do here and the professors want you to succeed. Ms. Garcia is currently a junior at Mercy College studying Behavioral Science. She is on the 5 year track, which means she will receive her Bachelor and Master degree as a certified K-6 teacher. 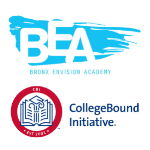 As a College Transition Coach for CollegeBound Initiative, Ms. Garcia can assist students with the college application process. In the summer, this position becomes a Bridge to College where Ms. Garcia can help recent graduates fully enroll at an institution. No plans this summer? Want to add exciting material to your resume and college application? Want to meet new friends and become successful? Then apply for a summer program! New York University College Access Leadership Institute is a one week FREE college preparation program. You will get to experience life living on a campus dorm. Open to 10th & 11th graders. 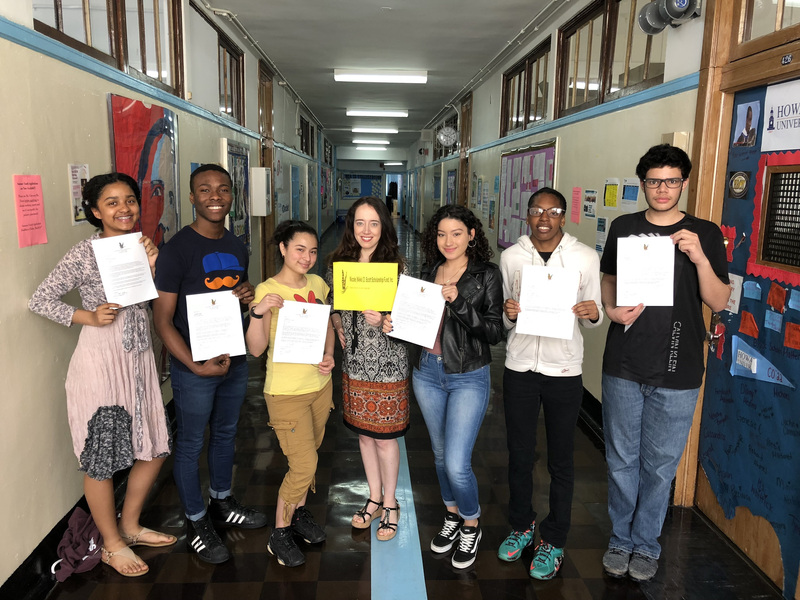 The Summer Honors Institute (SHI) @ LIU Brooklyn is a one-week intensive that will give students the chance to immerse themselves in different fields of study. Seniors can pursue their passion and get a taste of college life at LIU Brooklyn. They will work closely with distinguished faculty mentors and gain vital experience through hands-on projects and field trips.This summer program is offered on a full-scholarship basis—the only costs to students are for meals and transportation. 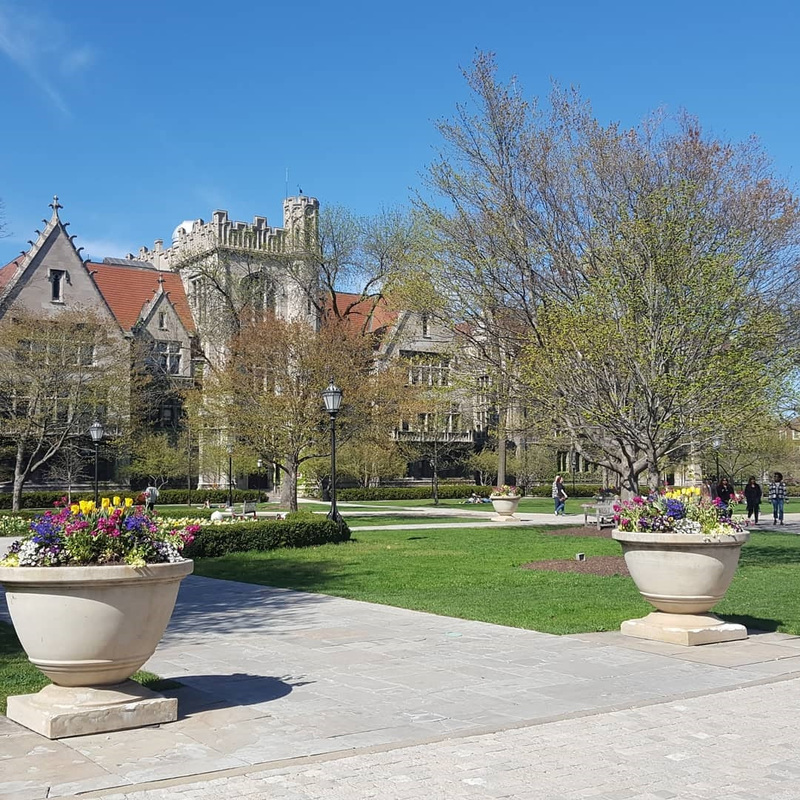 All accepted students receive free tuition and housing. Stay tuned for the next newsletter where it will contain scholarship winners, college enrollments and more! Selected students speak with the Opportunity Network about the application process. Mandatory Junior Parent/Student meeting will be held on Wednesday, April 25, 2018 at 5:30 pm. More details to follow.